Swiss Side HADRON Classic 485 Cutting edge aero for less, but there are some compromises. Tucked away in Switzerland is an engineering team with years of experience optimizing aerodynamics for Formula 1 racing. Only this team isn’t trying to make the world’s fastest race cars anymore, it’s focused on making the world’s fastest bike wheels–a focus that has culminated in the Swiss Side HADRON Ultimate and Classic lineup of wheels. 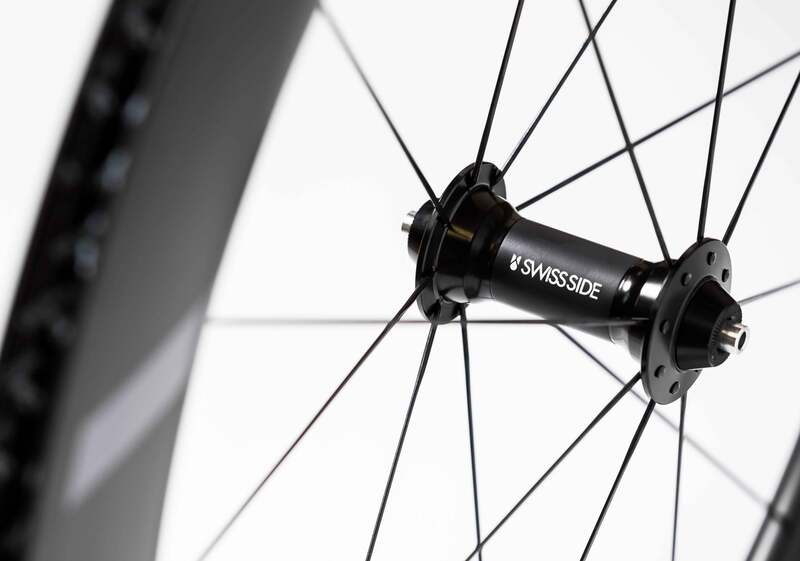 Though still a young company, Swiss Side already claims its Ultimate series to be the world’s fastest wheels. Benefitting from this aero expertise, the second tier HADRON Classic line, including the 48.5mm deep 485, utilizes the same aerodynamic rim shape of the flagship Ultimate line with only minor tradeoffs in hub choice and extra weight to deliver an aero wheelset at an attractive price. As you would expect from a company specializing in aerodynamics, Swiss Side designed the HADRON Classic 485 to be fast–but not at the expense of rideability. By focusing on stability and predictable handling in windy conditions, this wheelset allows you to stay in an aerodynamic position for longer. After all, aero wheels aren’t much good if they force you to ride in an upright position, with your body catching wind like a sail. In real world conditions, the stability is noticeable: these wheels track straight in most wind conditions you’ll encounter, even for small riders, and carve confidently through descents. Simply put, they’re a joy to ride. The Classic 485 is certainly worth a look. Whether you’re grinding out a monster effort, or just out for Sunday coffee, the Classic 485 will enhance almost any ride. And at 1259 Euros directly from the manufacturer – currently less than $1500 – they are a good value. Being the second tier model doesn’t mean the Classic 485 is cheaply made. 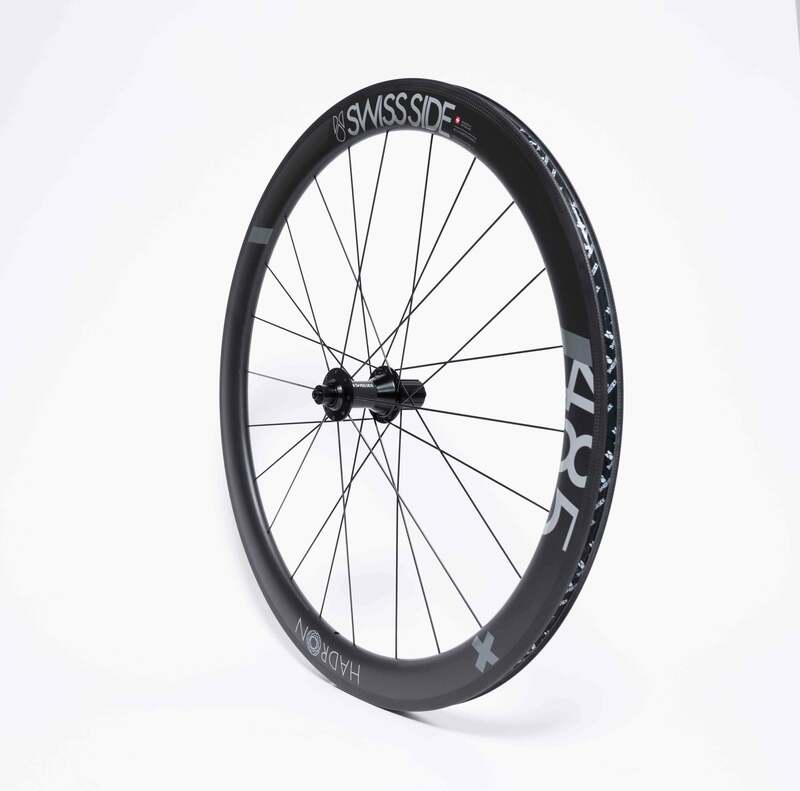 The rim has a full-carbon construction, brake track included, and ships tubeless-ready. 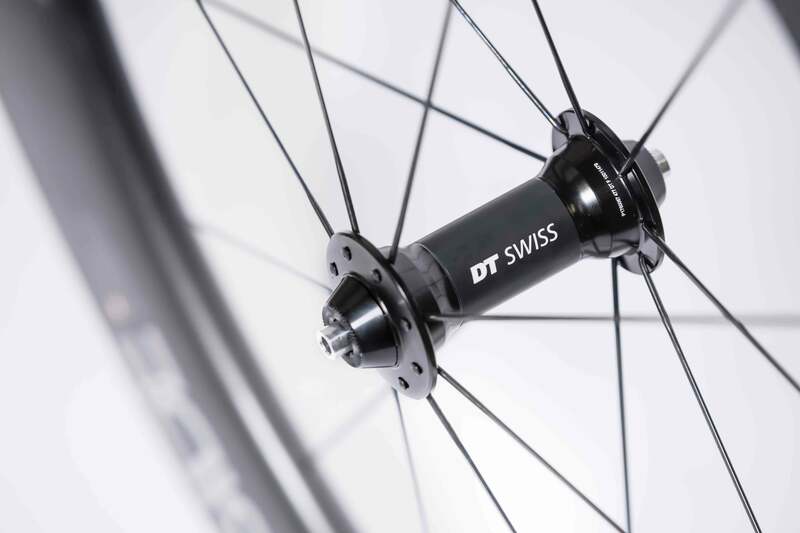 However, Swiss Side recommends a max tire width of only 25mm for optimal aerodynamics (with up to 28mm tires supported) so riders addicted to more volume may want to look elsewhere. The Classic 485 may also turn off the pure climbers with a weight of 1691grams. Braking is quiet and confident, ready to stop short on a moment’s notice in the dry. However, as with many carbon rims, braking becomes significantly compromised in the wet, so consider swapping these out on rainy days–or looking into the disc version. SwissSide has not yet caught up to the likes of Zipp, Mavic or Bontrager in wet weather rim braking. These wheels offer incredible, easy to handle aerodynamics at a great price. There are trade-offs however – wet braking, tire volume and weight. 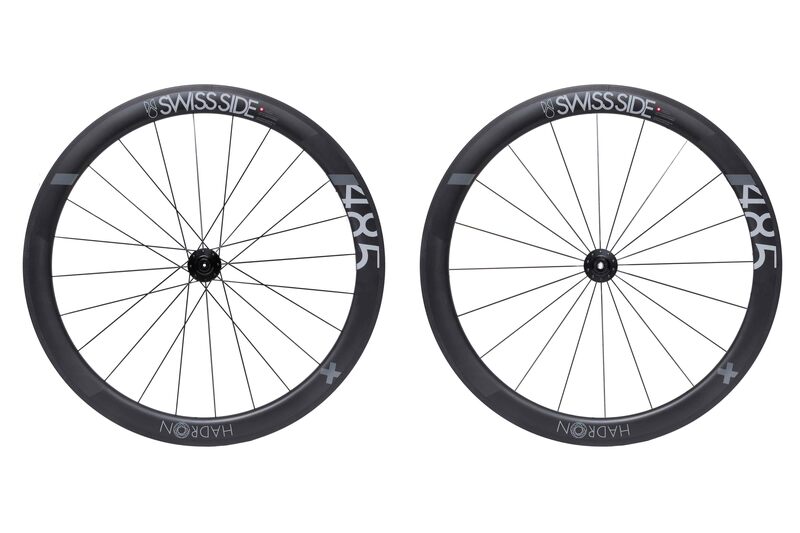 Of course, for those seeking cutting edge aero at entry level carbon prices, the Swiss Side Classic 485 is a great option.